FARMAN AIR PARK disposes of a hangar constructed by the FARMAN brothers occupying 4800 m2. This space allows us to accommodate a great number of planes of all sizes and to propose all related services. Thanks to a simple call, FARMAN AIR PARK carries out the excursions and the positioning of the planes on the parking grounds. 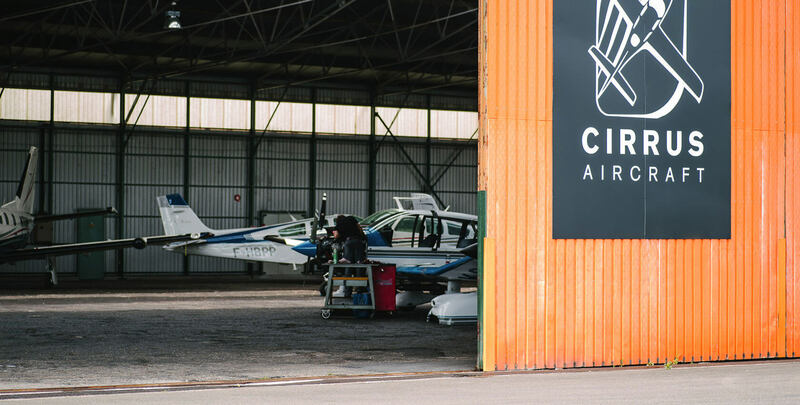 On demand of the captain, FARMAN AIR PARK prepares the re-fueling operations for the execution of a flight or manages the filing of the flight plans. FARMAN AIR PARK, also offers services all year round, 7 days a week, between 06h30 and 22h30. The maintenance of your aircraft must be made according to the flight hours logged or the calendar terms indicated by different manufacturing programs and this from the date of first registered flight. 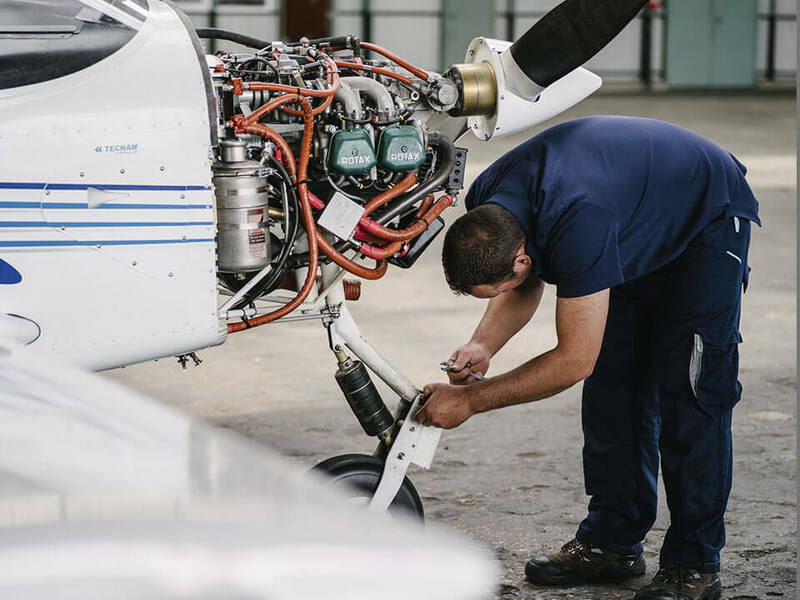 After each maintenance session, the up-coming deadlines will be given to you after you have retrieved your aircraft in order to help you schedule your next appointment. When your aircraft is monitored by our workshop, you will be reminded of important deadlines such as your annual visit, the renewal or extension of the CEN and the life limited items. In order to ensure an optimum standard of service, we invite you to supply us with your aircraft Logbooks and Cardex.As soon as you arrive, a member of our team, both instructor and mechanic, will be at your service and will listen to your needs and expectations. We can take over the responsibility for your aircraft from its retrieval up to its set up on the aerodrome of your choice. We can also organize for you methods of transportation to your next meeting be it taxi reservations, car hire, hotel reservations, flight reservations or any other service which you might require. Looking for your continuing airworthiness flight ? Our company is certified under EASA Part M under part G + Part I to ensure this service for Cessna brands, Robin, Piper and Cirrus. Do not hesitate to contact us to entrust us track your flight. After an incident or accident. Our qualified and experienced team can guide you through all administrative and technical procedures. So as to maintain flight quality and the integrity of the systems, the best solution is to entrust your aircraft to our workshop which will, in accordance with the maintenance manuals of the manufacturer, produce quality work. We will carry out your cost estimate on the basis of the parts, equipment and reparation procedures recognized by insurance companies and manufacturers.